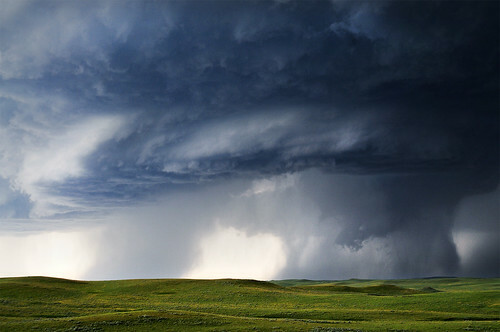 Photographing a storm can get you the opportunities to capture amazing pictures. 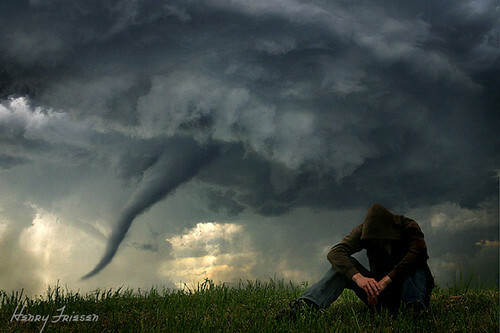 In the first section of this post, we have gathered 10 jaw-dropping storm pictures which surely will get you inspired. The second part of article will show you techniques to shoot lightning using Lightning Trigger with videos with some tips to help you take great storm pictures and also a video that shows you how you can protect your gear when you’re out and about taking some shots even in the worst conditions. 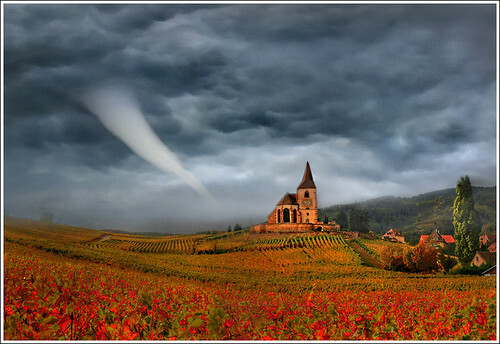 The Perfect Storm by Dan. D.
Photograph lightning during daylight is next to impossible because there’s too much light to slow down the shutter speed enough to capture lightning even under the dark clouds of a heavy storm. But thanks to the Lightning Trigger, now you can capture nature’s most dynamic element anytime of the day. The Lightning Trigger is an ultra-sensitive lightning/flash activated camera shutter release designed to provide the photographer with the ability to photograph lightning easily during the day or at night. It is extremely sensitive to light flashes and will respond to intracloud (heat) lightning as well as stroke lightning. 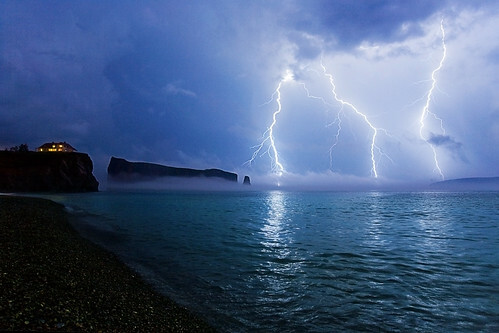 In addition, since lightning will occur over a wide expanse of the sky, the Lightning Trigger is designed to detect omni-directional flashes. * Slower ISO settings are recommended. For daytime photography, the Lightning Trigger works best with the camera set in shutter speed priority mode. The Lightning Trigger will activate the metering system and reset the exposure after each shot. Nighttime lightning photography differs in technique from daytime photography settings by utilizing the camera’s manual exposure mode. Set the aperture starting at f/5.6 to f/4. Shutter speed should be set at 1/4 second up to the duration of the lightning flash, about 2 seconds. The camera may also be set to multiple exposure mode. Since you have to take photographs in a dark environment, the camera can not automatically set the right focus, exposure and apertures. Thus, make sure you set your camera to manual mode. Also don’t forget turn off your flash. Turn off your autofocus and focus the camera on infinity. This is the right setting since lightning photography is done from long distance. Set the shutter speed at “B” or “T.” This is why photograph lightning during daylight is next to impossible. There’s too much light to slow down the shutter speed enough to capture lightning even under the dark clouds of a heavy storm. Lightning takes its own picture when and where it wants, and no matter how fast your reflexes are, it’s gone before the shutter opens. 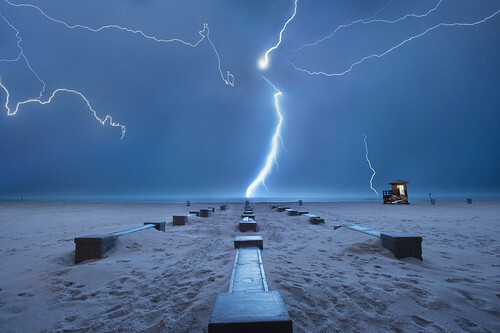 If an image happens, it is either an accident, or the photographer was lucky enough to have a very long sequence of lightning hits at the same place. Almost all daylight situations can be very frustrating. The darker the sky, the longer the shutter is allowed to stay open at f/8. Therefore, your chances of getting a good photograph of lightning are best on a very dark night. In this situation you may leave the shutter open indefinitely and get multiple bolts in the same frame. 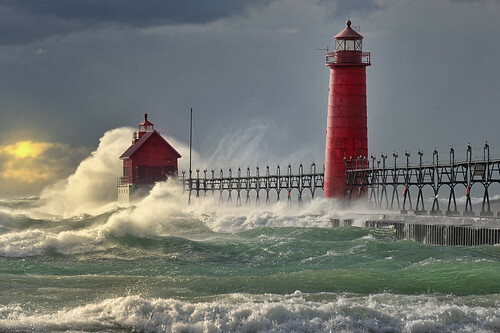 The intensity of the storm, your distance from it, and your ISO are variables. However, assuming the storm is approximately five miles away and you are using ISO 100, f/8 is the best aperture. 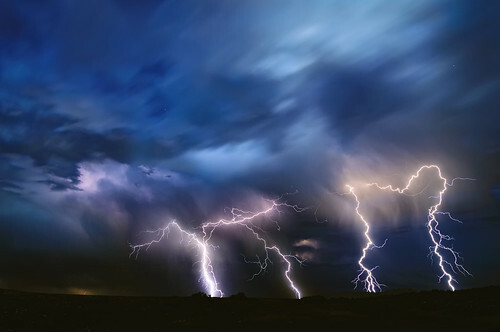 Lightning will make an exposure at almost any aperture, but if you try to lengthen the exposure time by closing the aperture more, or by using neutral density filters, you risk getting images of the lightning bolts that are thinner than desirable. If the storm is more than five miles away, or filtered by smog, you might try opening the aperture to f/5.6. If it is closer than three to five miles try f/11. To make lightning photos more interesting try to find contrast or objects that will be interesting when lit or stroked by lightning. Such objects could be trees, city sky line, roads or antenna towers. This entry was posted on Thursday, April 14th, 2011 at 8:20 am and is filed under Photography Tips. You can follow any responses to this entry through the RSS 2.0 feed. You can skip to the end and leave a response. Pinging is currently not allowed. 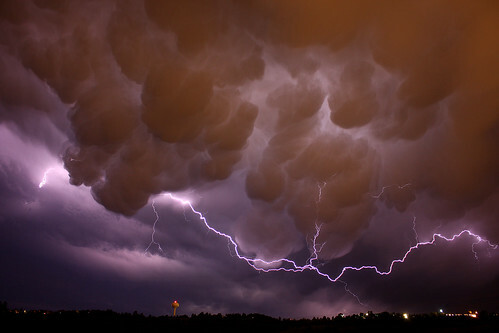 Amazing storm pictures indeed.. Love them all! Very informative videos.. I was wondering what’s the best lens to use to shoot lightning? I am using a telezoom lens. Whatever lens you use, the most important equipment in shooting lightning is the tripod since you’ll be using the ‘Bold’ mode in your DSLR.